Before the music of "Auld Lang Syne" begins at midnight on New Year's Eve, gospel music fans will be lifting up their "Battle Cry" in The Colonnade during the seventh annual New Year's Eve Gospel Music Jubilee. "Battle Cry," one of 16 No. 1 hits by the Kingsmen Quartet, is sure to be part of the quartet's set during the Monday night gospel sing. Joining the Kingsmen on the program will be Children of the Promise, Appointed Quartet and Chatta Valley. This annual gospel music celebration is presented by Appointed Promotions to benefit Dogwood Bible Camp, an outreach of Dogwood Valley Baptist Church. The Kingsmen Quartet formed in 1956. Over its six decades the quartet has won multiple Dove Awards, was the first group to record a live album at Ryman Auditorium and won more than two dozen Singing News fan awards. The quartet has been inducted into the Southern Gospel Music Hall of Fame, the Gospel Music Hall of Fame and the Christian Music Hall of Fame. Its current lineup is Chris Jenkins, Bob Sellers, Randy Crawford and Ray Dean Reese. Appointed Quartet, based in Tunnel Hill, Georgia, is comprised of Stephen Roberts, Earl Roberts, David Hill and Chris Wells. 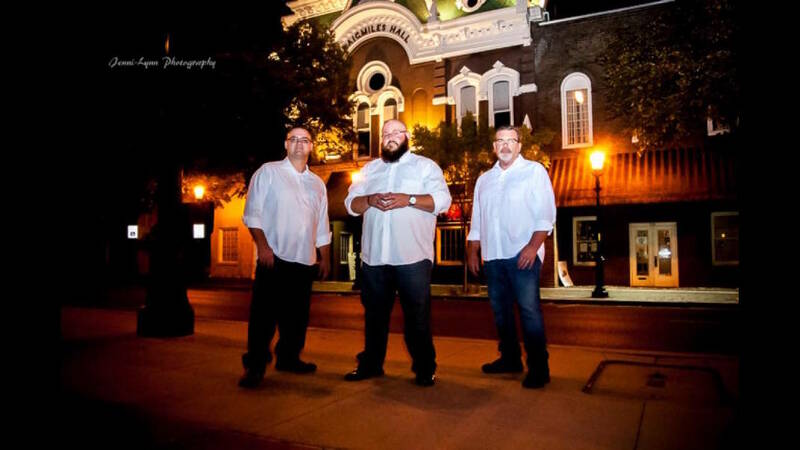 Appointed was named the top group at the Gerald Crabb A&G Talent Search in Fort Payne, Alabama, in 2013, then named top quartet at the Gospel Music Express 2016 Fan Awards. The quartet regularly appears at Singing In the Sun in Myrtle Beach, South Carolina, as well as Gatlinburg Gathering in Gatlinburg Tennessee. Chatta Valley is the local trio of Caleb Leamon, Cliff Howard and Greg Young. Children of the Promise is the family group of mom Nikki Shaw and sons Jacob, Eli and Isaac.